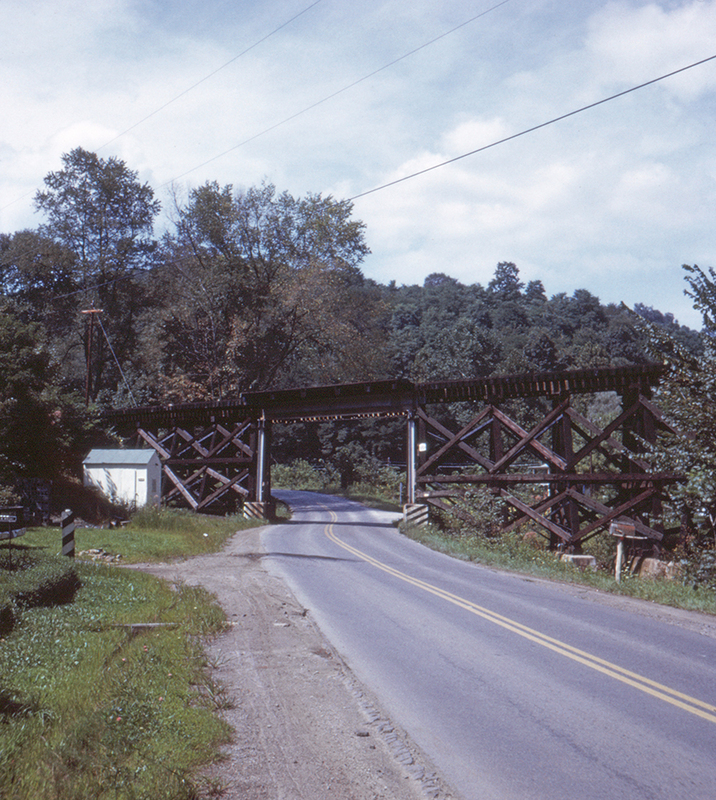 Just south of Hutchinson, West Virginia, U.S. Route 19 passed under this Western Maryland trestle, now long gone. At one time the WM connected with the Baltimore & Ohio's line via Shinnston at Hutchinson, with shared track from Hutchinson to Gaston Junction on the B&O. In the other direction the WM serviced mines at Stringer and Josephine.